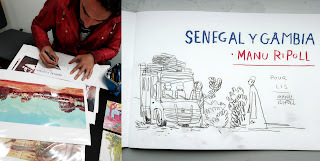 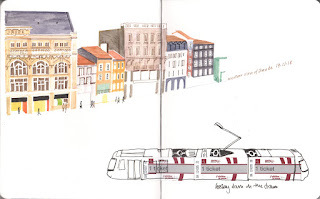 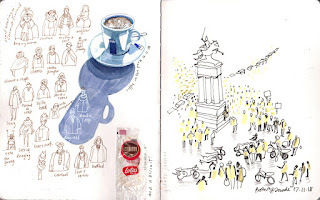 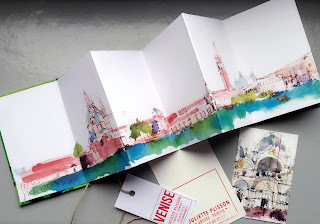 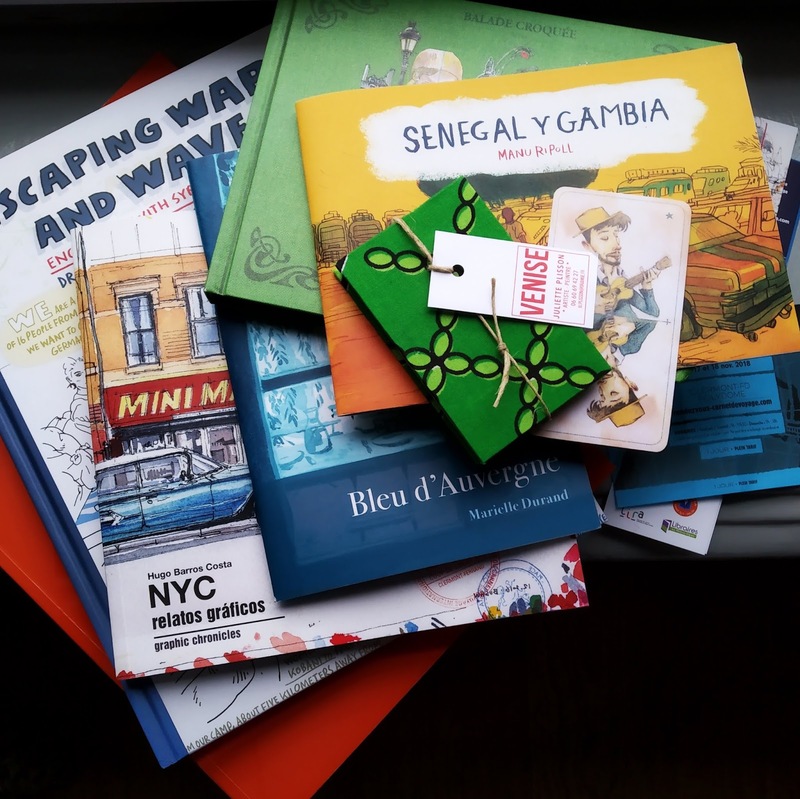 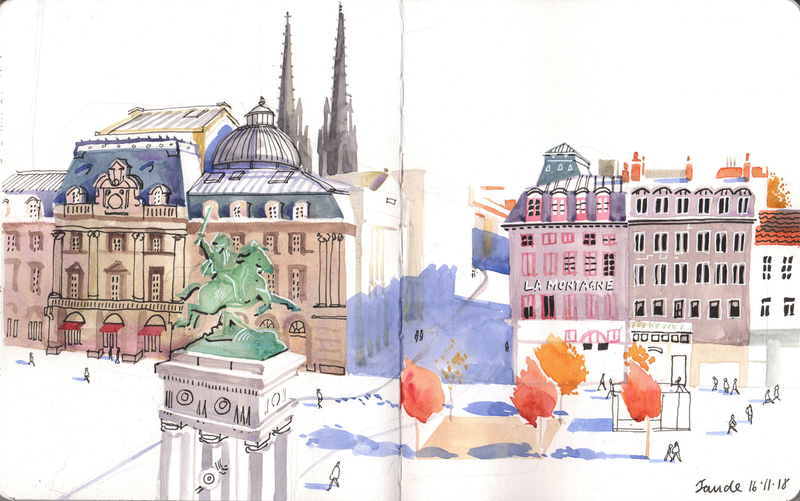 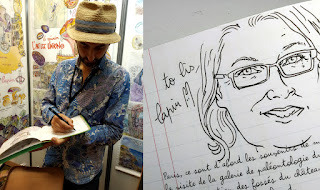 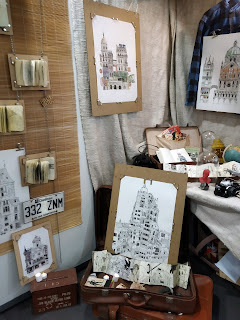 It was lovely to visit the travel sketchbook event, ‘Rendez-vous du carnet de voyage’ earlier this month. 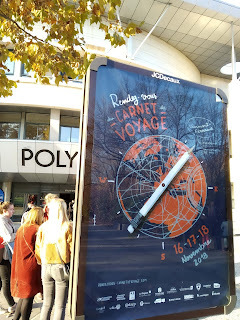 I first visited the festival, which is held in the French city of Clermont-Ferrand, last year and vowed to return, this time with more spending money! 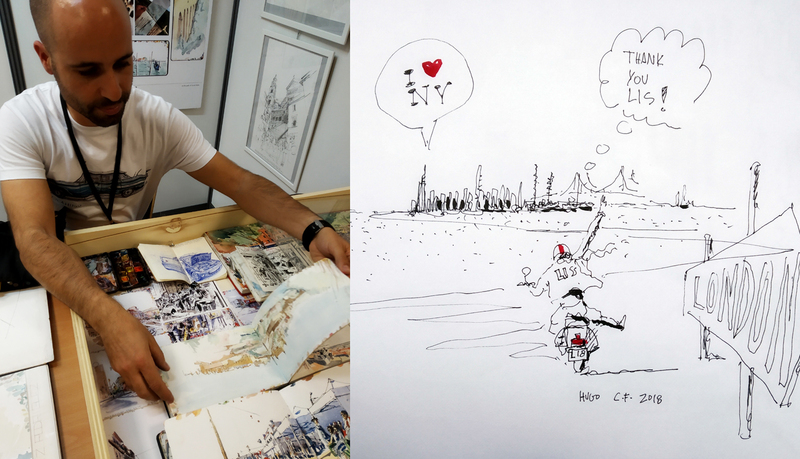 Over 90 artists, including many from the Urban Sketchers community, come together to show drawings from their travels all over the world. Quite a few artists who I follow on Instagram had stands at the festival and I left with a great haul of books, all signed and some with special drawings too. 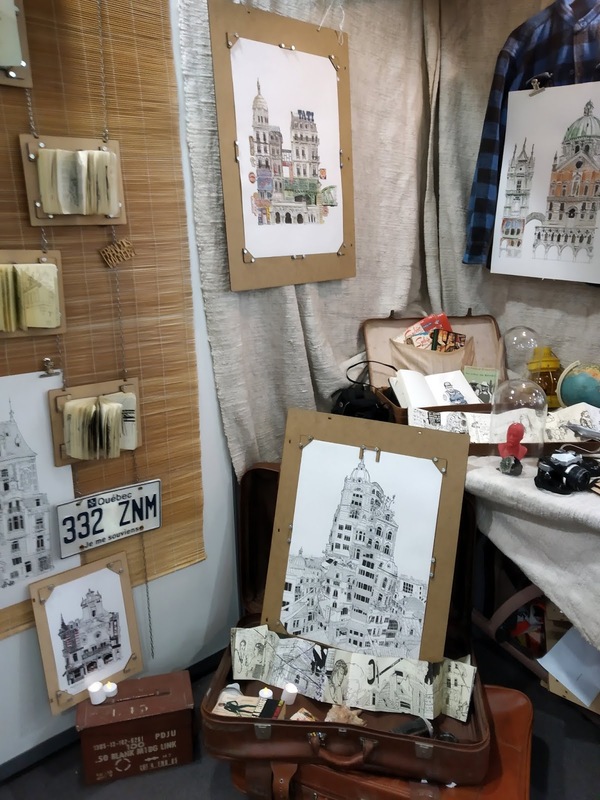 The festival is held at the Polydome near the city's rugby ground. 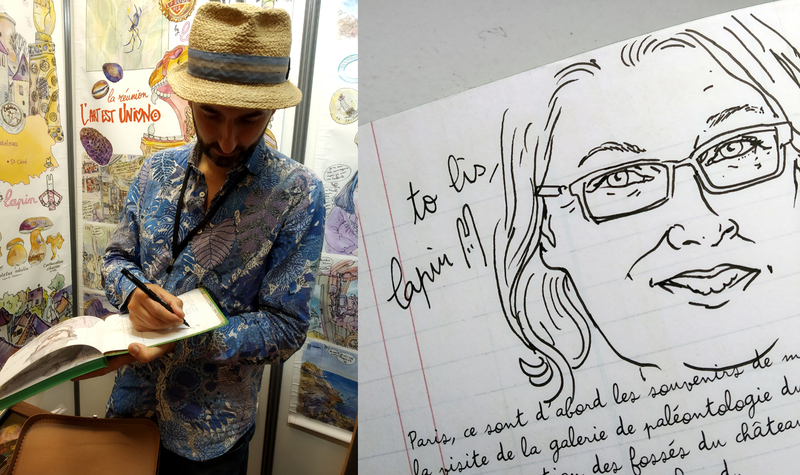 Lapin drew a portrait for me! 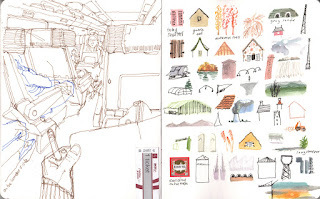 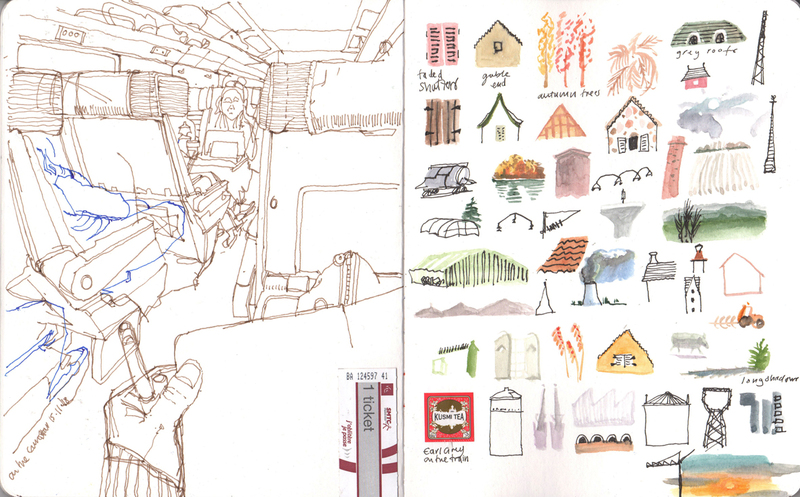 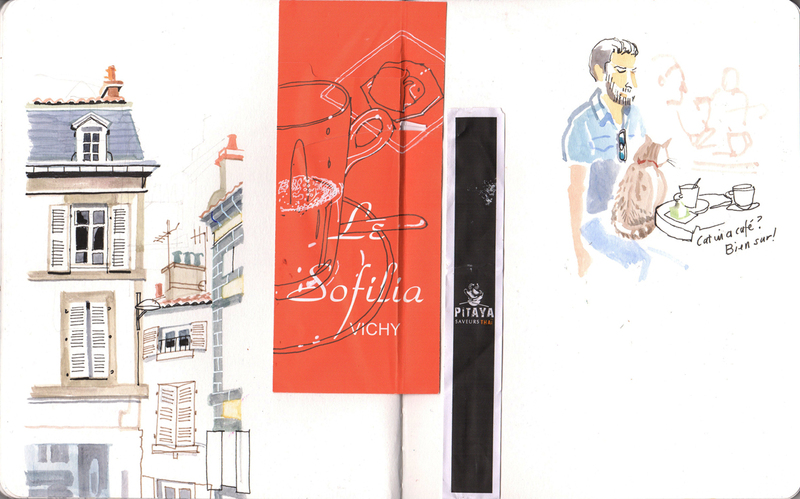 Below are my own sketchbook pages from the trip. 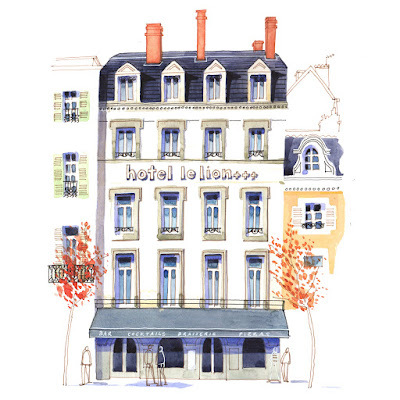 The watercolour illustration at the top of the blog post is of the 'Hotel le Lion' where I stayed on my trip. 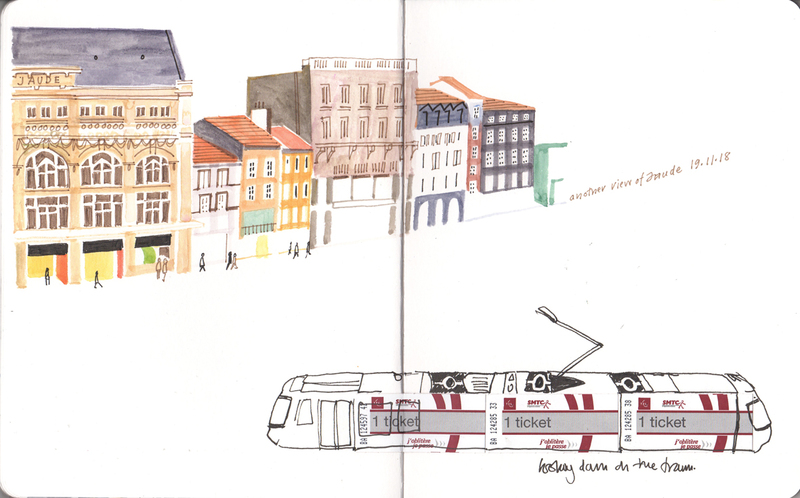 I had a room on the top floor with a great view across the central square, which you can see in some of the sketches. I booked through Expedia and thought it was good value and would recommend it to anyone visiting the city!